Bajau Laut are called the “Guardians of the Sea”. In more than 1000 years they have fished and traded in a vast maritime zone of Southeast Asia. They use a wide range of fishing techniques and they are known for their diving and spear-fishing skills (Schagatay 2011). 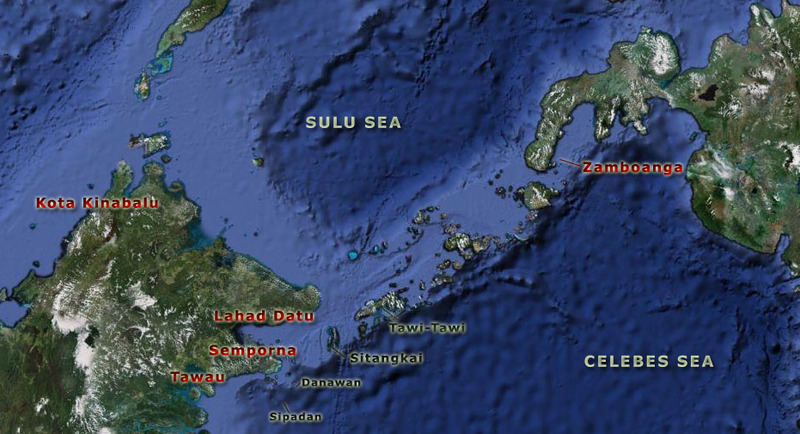 Map over the Sulue and Celebes sea where Bajau Laut is mostly spred. They are also spread over many pars of eastern Indonesia. Historically, all Bajau have been sea nomads. The earliest mention of peoples identifiable as Bajau goes back to the 16th century (Sather 1997). For a long time they were employed as navigators and divers in the Sulu Sultanate, which was a Tausug kingdom in the south-western part of Philippines for several centuries. It is also known that they played a key role in the lucrative spice trade in which they transported spices from the “Spice islands” in Moluccas to the Straits of Malacca, from where they were sent to the Middle East in the 16th and 17th century (Blust 2005: 14-15). However, the The Spanish king of that time, Charles I of Spain, wanted to find the “Spice Islands” so he sent the captain Ferdinand Magellan with a crew of more than 200 men across the Pacific Ocean. Ferdinand Magellan died in the Philippines in year 1521 but his remaining crew found the “Spice Islands” only months later – changing the spice trade completely. Bajau Laut lost their key position in the trade, and colonial powers started to violate the area. The last centuries more and more Bajau Laut have settled on land, but a majority are still closely connected with the sea, either on still houses or on house boats. Still today there are at least 1 000 houseboats remaining, located in isolated areas of Philippines, Malaysia and Indonesia. The origin of Bajau Laut is still today a source of controversy. Their language group, Sama-Bajaw, is mostly spread in the southwestern parts of the Philippines, but it has no relationship with Philippine languages. Robert Blust of University of Hawaii has suggested that the language group is a “geographically displaced language”, but from where did they come? The legends of Bajau Laut say that they originated from Johore in Malaysia, looking for a kidnapped Bajau princess. But there are no lingustical evidence that supports this idea. In fact, there seem to be no blood relations between Bajau Laut and the sea nomads of western Malaysia and southern Thailand (Orang Laut), or the sea nomads of Burma and central Thailand (Moken). The linguist Robert Blust suggests that Badjao originates from the south-eastern part of Borneo in the Barito River Basin, due to language similarities (Blust 2005), . If that is the case Bajau Laut may originate from the same place as the explorer of Madagascar. However, the the issue remains dicussed. How to name them – Badjao, Bajau, Bajo or Sama? Bajau Laut belongs to the Sama-Bajau group which can be divided into more than 15 different groups who live in Philippines, Malaysia, Brunei and and Indonesia (Blust 2005). Historically all Sama-Bajau were sea nomads but today only one Bajau Laut remains on the sea. It is estimated that there are between 750 000 and 900 000 speakers of Sama-Bajau in Southeast Asia (Sather 1997), but it is very difficult to make an accurate estimation and they might be more than one million. It is very hard to estimate the population of Bajau Laut – but they might be as many as 100 000. The sea dwelling Sama-Bajau are known under different names or terms, as for exaple ‘Badjao’ or ‘Bajau’ which is a Malay-Bornean word which connotes “man of the seas” (Blust 2005). They have also been referred to as palauor lumaan by their neighbours, both meaning “Godforsaken”, as they have lived on the sea and been recognized as backward (Pallesen 1985). Bajau Laut themselves, in both Philippines, Malaysia and Indonesia, prefer the word ‘Sama’ (Sather 1997: 5), which means “we” (Gusni 2003:5). They also sometimes adds ‘Pala’u’ (living on boats) or ‘Dilaut’ (living on the sea) to their name (Pallesen 1982, Blust 2005). Those Sama groups who live on islands use to add the name of their island in their name, for example ‘Sama Siasi’ and ‘Sama Tawi-Tawi’, but they have not till recently been living on boats (Pallesen 1985, Blust 2005). Many Sama consider the word ‘Badjao’ to be stigmatizing and they avoid the term as it has been imputed on them. However, in order to be noticed by authorities, politicians and aid organizations many Bajau Laut villages in Philippines have adapted to the term ‘Badjao’ and use it in their interaction with local people and authorities. Pallesen, A. Kemp. 1985. Culture contact and language convergence. Linguistic Society of the Philippines, Special Monograph Issue, 24. Manila: Linguistic Society of the Philippines. Sather. Clifford (1997) The Bajau Laut: Adaptation, History, and Fate in a Maritime Fishing Society of South-eastern Sabah. Oxford:OxfordUniversity Press. 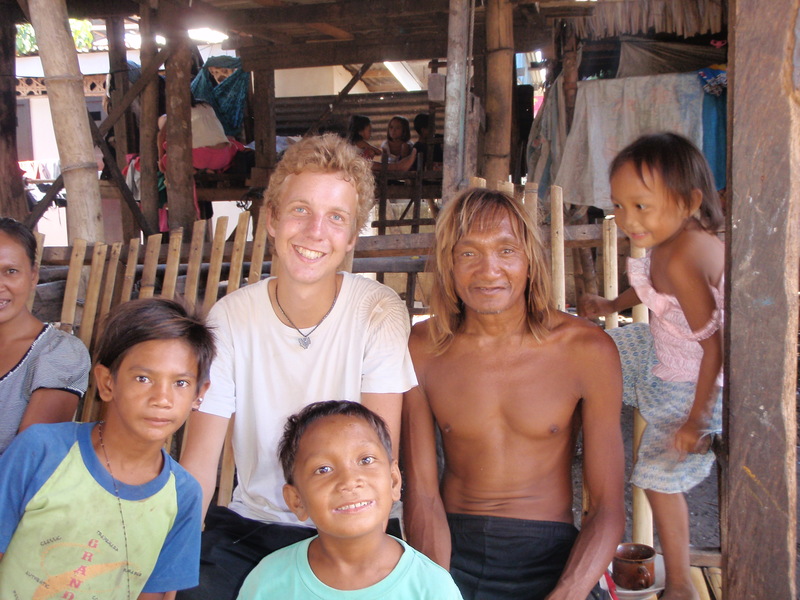 Schagatay, E., Lodin-Sundström, A., Abrahamsson, E., (2011) Underwater working times in two groups of traditional apnea divers in Asia: the Ama and the Bajau. Diving and Hyperbaric medicine, Volume 41. No. 1: 27-31.